At the Lord T.R. launch of his “The Life of Joe Spazm” mixtape, which is for free, by the way. Many young spitters were on ground to show their stuff. Led by the young underground king from the “cold Coal City” by the name of Mista Books who’s body of work is on its way out sooner than later. 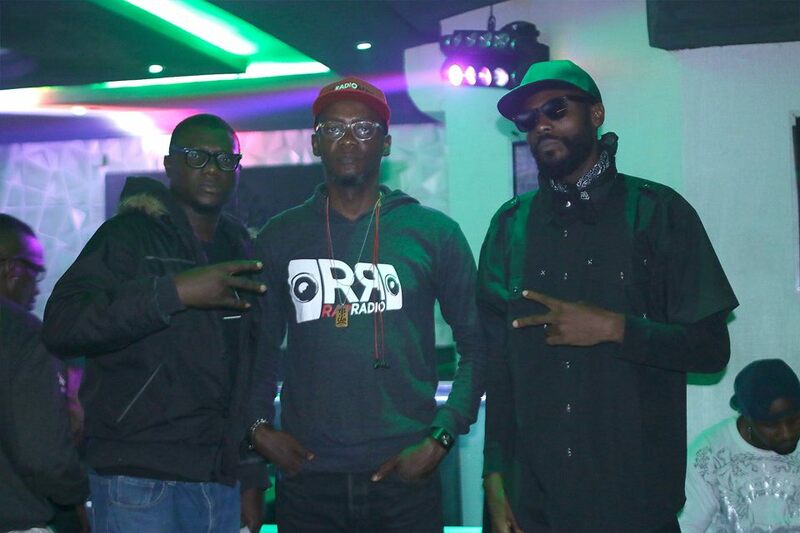 (L-R; Host with the most, Johnny Ray, Bionic of Rap Radio Africa & young mic king, Mista Books). See more photos in the gallery. It’s for the reason we are here, Yiye. To serve you!